How to make a vintage card with Transfer Foil and no heat tools! 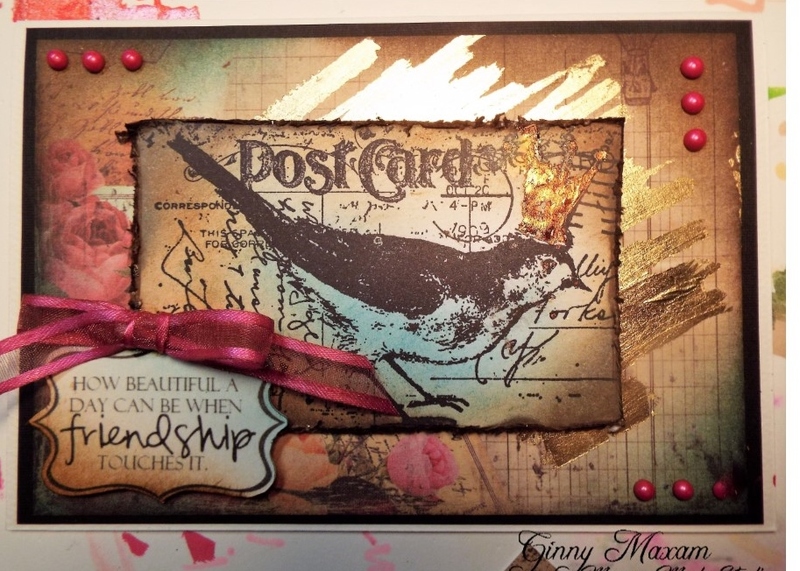 A couple of weekends ago I made a card for a Friendship challenge using Transfer Foil and no heat tools! I thought I would share it with you today. I stamped my image using Archival ink on watercolor paper. And then used a palette knife to smear ( not sure of the art term for this!) the glue down and again place the transfer foil on top and let dry for a couple of minutes. you simply pull off the sheet and the gold is adhered to the paper! And for the bow - no more hot glue burns! Best Glue Ever holds it perfectly!